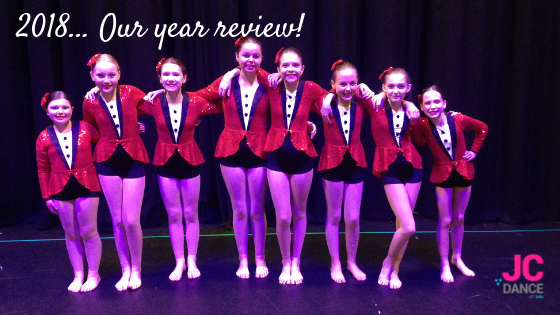 Looking back, 2018 has been a busy year for JC Dance! Joanna welcomed her baby daughter Harriet in April. This meant our pupils had some new faces teaching them over the year… Heather, Hannah, Clare & Siobhan! I am delighted that Siobhan and Clare are continuing permanently as teachers at JC Dance as of January 2019. December 2018 Student in the Spotlight…Gabriella! 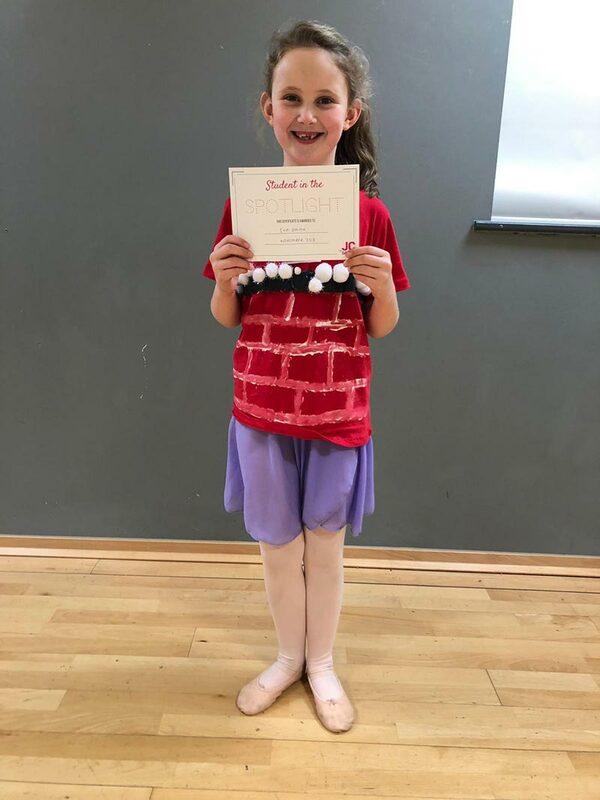 Gabriella has been dancing at JC Dance for around 5 years and has just taken part in her 5th Showcase… Which is quite an achievement for an 8 year old! 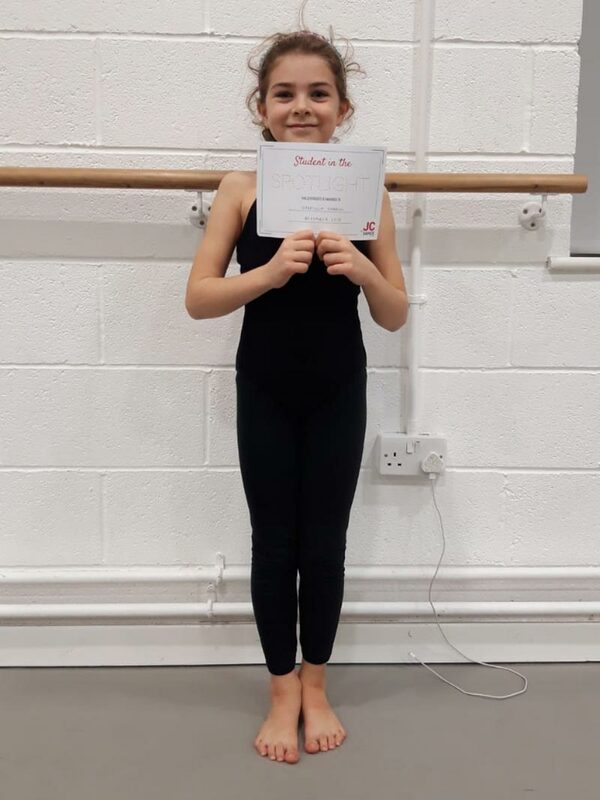 Gabriella attends Ballet and Modern classes and has been awarded Student in the Spotlight for her consistently excellent behaviour and effort each week in class. When asked what her favourite thing about dance was, Gabriella replied “seeing all her friends and doing the shows”… Well done! November 2018 Student in the Spotlight … Eva! Eva has been dancing at JC Dance for around 18 months and settled in very quickly to her Ballet & Modern classes. Eva took her first RAD and ISTD exams earlier this year and gained a fabulous distinction in her Primary Modern exam. Eva has been awarded Student in the Spotlight for November because she has such a hardworking and consistent attitude in class and is a pleasure to teach.